Russia’s State Duma passes anti-fake news bills in first reading | Russian Legal Information Agency (RAPSI). MOSCOW, January 24 (RAPSI) – The State Duma, Russia’s lower house of parliament, adopted in the first reading on Thursday a package of bills introducing fines of up to 1 million rubles ($15,000) for distributing fake news on the Internet. The bills would ban media and data telecommunications networks from online distribution of false worthwhile information threatening people’s life or health, posing risks to civil disorder or security and leading to other heavy consequences under the guise of trustworthy reports. 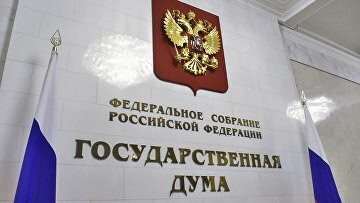 Under the draft laws, Russia’s Prosecutor General and his deputies would be authorized to take decisions on blocking of website disseminating prohibited information. Moreover, the bills envisage fines ranging from 3,000 to 5,000 rubles ($45 - 75) for individuals, from 30,000 to 50,000 rubles ($450 - 750) for officials, from 400,000 to 1 million rubles ($6,000 – 15,000) for organizations for these violations.